This post is the fourth in a weekly series intended to briefly spotlight those things that you need to know about new features in BizTalk Server 2013. 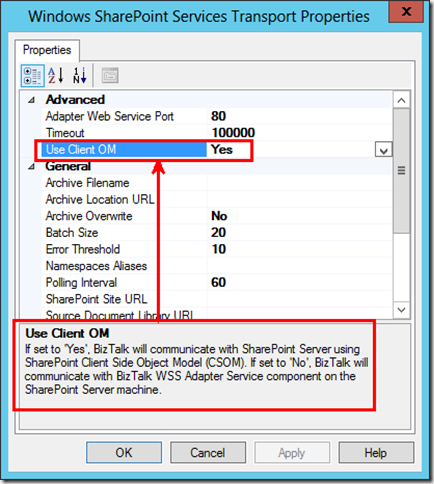 BizTalk Server 2013 also provides updates to SharePoint adapter that gives users the option of choosing between using the client-side or server-side object model for connecting to a SharePoint server. While this is nicely succinct1 and technically accurate, it really does not do a great job at explaining the implications. In order to uncover that, we actually have to look to the past – all the way to the year 2010. In BizTalk Server 2010 (or more specifically, all versions including the WSS adapter), when we wanted to allow a BizTalk process to interface with SharePoint, we had to install a special web service that ran on the SharePoint server. 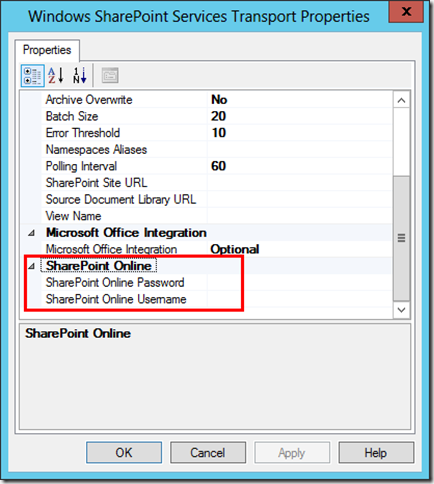 This web service was installed by BizTalk and interacted with the server-side object model of SharePoint to provide access to data within SharePoint document libraries. In a sense, to do a SharePoint integration, we had to cheat. We had to modify the target system to help adjust it to BizTalk – as opposed to leaving that system alone and integrating with it in a purely native way. Now one can easily argue that this is a slight exaggeration (since BizTalk did use an established interface in the form of the server-side object model), however it was still fairly inconvenient to have to install that adapter web service in each SharePoint environment with which I wanted to enable integration. Sometimes, its the seemingly little things that will make all of the difference. 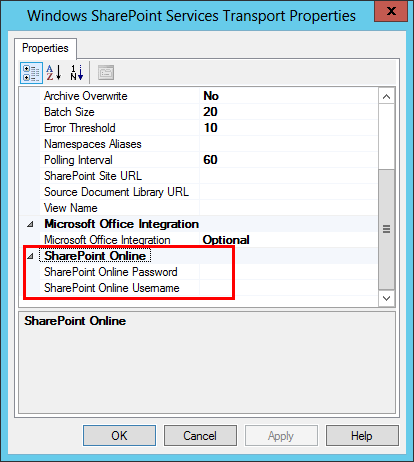 If you’re trying to tackle a SharePoint integration, and you’re on BizTalk Server 2010, consider the move up. Not only will it make you feel good to do things in a pure way that will satisfy those that hold tightly to the enterprise integration dogma, but it will also be less of a headache at installation time. 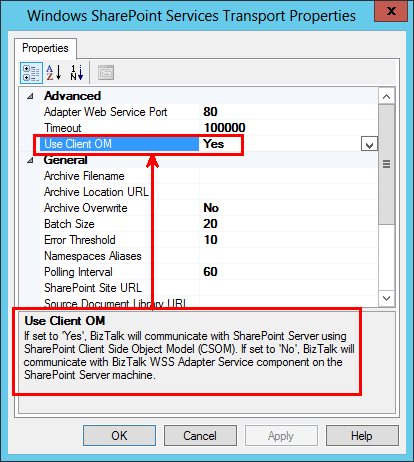 If you would like to learn more about the enhancements to the SharePoint Adapter, check out one of our upcoming BizTalk Server 2013 Deep Dive classes. 1 I say “nicely” succinct due to one of my college professors constantly saying of essays written by Freshmen: “Brevity is a virtue”. Our courses cover each topic in a broader way by providing more in depth labs. Rather than dozens of 10-15 minute labs our 45-60 minute labs provide a more complete picture of each topic. We show you how to exercise SharePoint’s strengths, as well as work through some of its more challenging areas. Our classes won’t give you a simplified sales pitch that leaves you wanting more, but instead will provide real guidance, for real solutions. For 20% off register before January 20th with the promotion code: NEWSP.